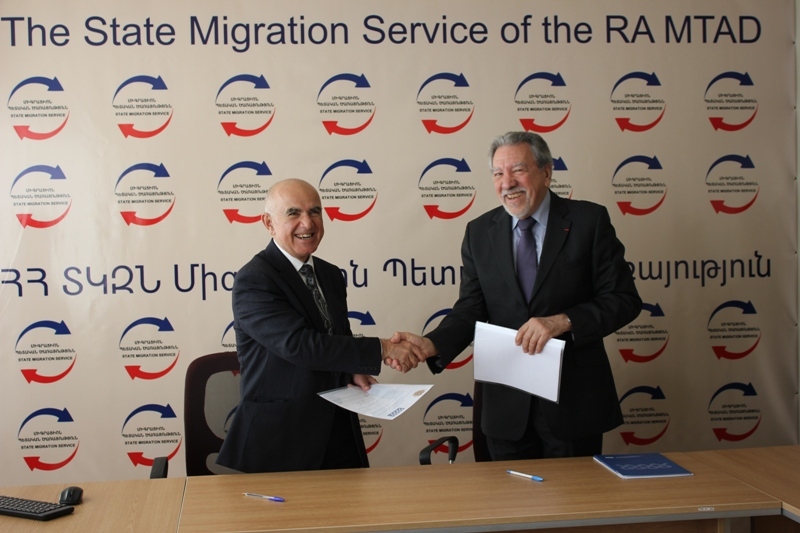 On February 22, the French Armenian Development Foundation and the RA State Migration Service of Ministry of Territorial Administration and Development signed a Memorandum of Understanding at the premises of State Migration Service. The Memorandum will foster to deepen the cooperation between the parties as well as to ensure the continuity of “One window” service assistance provision to migrants returning to Armenia. Within the framework of the Memorandum, the French Armenian Development Foundation plans to organize the activities of “One window” service by providing the returning migrants with information about the ongoing reintegration projects, their implementing organizations, types of allocated assistance as well as stemming from their needs to orient them to various structures. It is also planned to realize organizational works for the quarter meetings on return and reintegration issues.